Found 7 file extension associations related to Jabbim and 1 file format developed specifically for use with Jabbim. 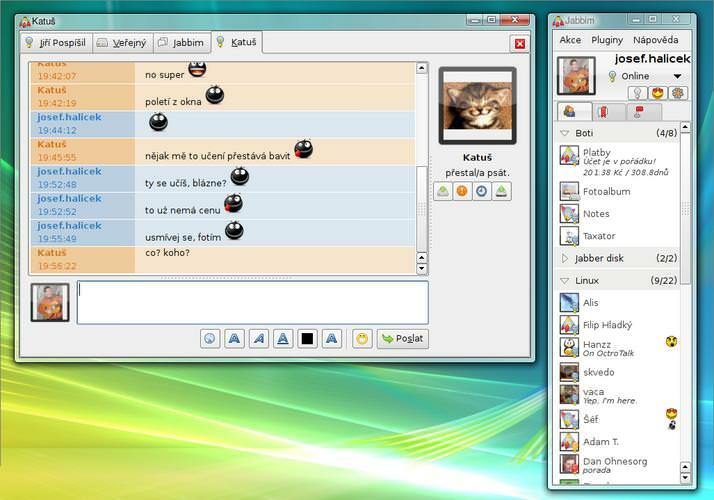 Jabbim is a client for communication over XMPP/Jabber protocol, written in the Python language using Qt (4.3), PyQt (4.3) and Pyxl library, which is a part of the client. The aim of the Jabbim client is to make Jabber approachable for common people, so it is a client for common users and beginners. Because of this philosophy the Jabbim client might not suit everyone. If you need more information please contact the developers of Jabbim (Jabbim DevBlog), or check out their product website.